You have been doing everything right. One thing sets you back and now your bills are piling up. You lost your job, your hours were cut at work or you have mounting medical expenses. Creditors are calling you at home and at work. You are worried about losing your car in a repossession, or your home in a foreclosure or your paycheck being garnished. You are losing sleep, stressed and you need to put this chapter of your life behind you. You have considered filing bankruptcy but you don’t know where to start, who to trust or how it works. So what do you do? Why choose the bankruptcy attorney at Over the Mountain Law Center? There are different factors to consider in finding a bankruptcy attorney. This is not only an important financial decision, it is also a complicated emotional process. Obviously, you want someone with whom you feel comfortable and you trust. Over the Mountain Law Center is a small, family firm. 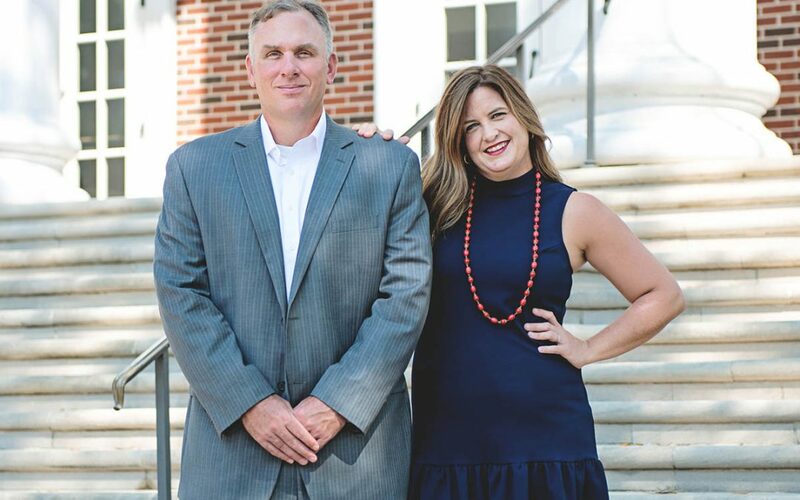 Attorney David Cybak handles the local bankruptcy cases and his partner and wife, Lindsey Brown manages the day-to-day operation of the firm. Bob Cybak, Dave’s dad, is a retired lawyer who helps around the office and is often times the one who greets all clients when they walk in the door. This is the very definition of family-run firm. Dave has over 17 years of experience in bankruptcy, debt collection and creditor’s rights litigation. Before opening Over the Mountain law Center, Dave was a creditor’s attorney. This gives him an in-depth knowledge of the entire process from both sides of the issue. The firm offers a free initial consultation wherein you meet with Dave. He will review all of your debts, identify what your needs are and answer all of your questions about the process. He typically pulls a credit report while you are there and together you can survey your total debt. He will advise if he believes bankruptcy is in your best interest and if so, whether Chapter 7 or Chapter 13 is your best remedy. At Over the Mountain Law Center, you will always have an in-person meeting with Dave. He gives his clients his personal cell phone numbers and takes calls from clients at all hours of the day. Are you afraid of wage garnishment or car repossession? If you are in trouble and need answers, contact Over the Mountain Law Center today at 205.870.8480. Your questions will be answered and you will see that it is possible to get over your mountain of debt. My Chapter 13 Bankruptcy Case Was Dismissed. Can I Re-File and Start Over? Am I Eligible to Receive a Discharge in A Chapter 7 Bankruptcy Case? Am I Eligible to Receive a Discharge in A Chapter 13 Bankruptcy Case? And Does it Matter? What is the Automatic Stay? Can I Stop a Foreclosure By Filing Bankruptcy? I am Behind on My Mortgage Payments. How Can I Use Chapter 13 Bankruptcy to Save My Home? Can I Remove a Judgment Lien Recorded Against My Property In Bankruptcy? ©2019 Over the Mountain Law Center - Consumer bankruptcy law firm in Birmingham, Alabama that represents individual debtors in Chapter 7 and Chapter 13 bankruptcy cases. We've been ranked "Best of Birmingham" by Birmingham Magazine. Learn more about our bankruptcy attorney. | "We are a debt relief agency. We help people file for relief under the Bankruptcy Code. No representation is made that the quality of legal services to be performed is greater than the quality of legal services performed by other attorneys."